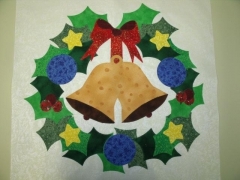 To place the tool or item you have to sell that will enhance the art of appliqué on the TAS website, please CLICK HERE to complete and submit the TAS Notions Etc Form. It will be reviewed and approved by the TAS board. For more information about this page you may also contact webmaster@theappliquesociety.org. Contemporary and Traditional designs using Broderie Perse, Celtic, Cut-work, Dimensional, Embellishment, Freezer Paper, Fusible, Hand Appliqué, Hand Piecing, Hand Quilting, Hawaiian, Machine Appliqué, Needle-turn, Reverse, and Stained Glass techniques. 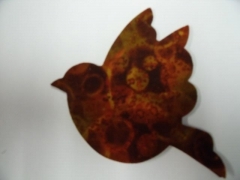 Laser Cut Applique. 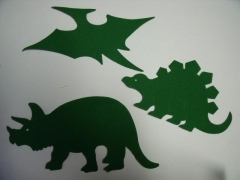 Carolyn designs appliques and cuts them on a laser for others to use in their quilts. 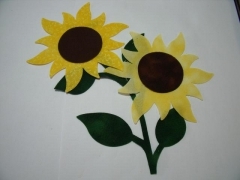 Have your own design created & cut or choose from hundreds of precut appliques on the website. Custom designing is also available; however no copyrighted designs will be accepted. Choose from three DVD workshops and a book by award winning quilter Kathy McNeil. She presents inspiration, design and multiple applique techniques used to create award winning quilts. Her new book includes 4 seasonal landscape patterns. The accompanying DVD shows you step by step how they go together. Zoom in on the details to see embellishments, fabric choices and special effects i.e.,tulle for shading and shadow trapunto. 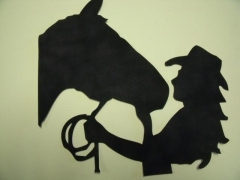 Learn how to use fabric paints to create shadows, hi-lights and details to your quilts. Create 3-dimensional objects out of thread, i.e; tree branches, bushes, flowers and surf. See Kathy's web site for on line workshops sponsored by the American Quilter's Society. Click here to view Kathy's You Tube Video on Apliquick tools to make turning your edges on small complex pieces a dream. Here you will find everything you need to make your Hawaiian Quilts and 2 Fabric Applique Quilts. We offer Hawaiian Quilt and appliqué patterns, fabrics, notions, Aurifil thread, and gift items of interest to people with a passion for Hawaiian Quilts and appliqué. "2 Fabric Applique Quilts with Nancy Lee Chong"
Learn Nancy's stressfree needleturn applique techniques while making your 2 Fabric Applique Quilt. 11" x 17" Dragonfly pattern included. 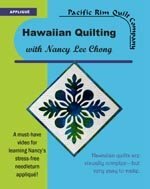 "Hawaiian Quilting with Nancy Lee Chong"
Learn everything you need to know to make your Hawaiian quilt. Watch as Nancy shows you every simple step: needleturn applique, hand quilting, binding, everything. 20" block pattern for Breadfruit block included. For nearly 200 years people have been mesmerized by the beauty of Hawaiian quilts. This unique artform evolved in the Hawaiian Islands during the 1800's. 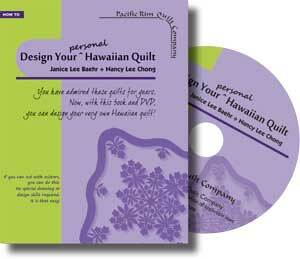 Now with this book and DVD you will be guided step-by-step through the thrilling process of designing your personal and unique Hawaiian quilt. Join in the tradition and take the journey with us. 66-page book, full of pictures, illustrations and instruction. PLUS, 2 hours of instruction and inspiration on DVD. Owner of a longarm quilting business since 2001, Catherine always strives to provide the best quality longarm machine quilting services at an affordable price which makes customers love and trust her to come back for more. A 2001 graduate of Longarm University™, she continues to develop and enhance her quilting skills. 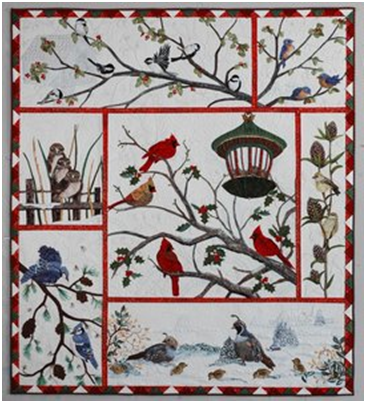 Catherine has been an award winning quilter since 1969 who loves and specializes in hand applique. With this area of expertise, she dedicates extra attention to the quilting of applique quilts and has developed a unique style to enhance the beauty of this area in quilt making. She understands the hours required to make a hand appliqued quilt and is sensitive to the owner’s request to take this into consideration with the machine quilting. She puts the customers at ease with any concerns they may have. You will not be disappointed in her workmanship on your pieced or appliqued quilts. View more information about Catherine and longarm machine quilting at her website www.americanquiltworks.com. Appliqué Style: Traditional designs using needleturn applique. Regina lives in Germany and is well known for her nature oriented patterns. She started quilting in 1999 and developed a lively interest in its technical aspects. Soon she became a teacher for piecing and appliqué in Germany and Europe. Along the way she developed her personal style on paper piecing techniques and patterns. She also has an international website where she provides free patterns and tips. Regina is a quilt teacher and designer willing to travel in Germany to teach classes or workshops and give lectures.